Smart Cambridge aims to ensure that Greater Cambridge is a ‘smart city’ by providing the infrastructure needed to collect and analyse data that can be used to develop innovative solutions to some of the city’s challenges. Smart Cambridge is working with the University of Cambridge to develop a leading digital platform that will support myriad smart solutions. Launched in March 2017, the Intelligent City Platform (iCP) is collating and processing real-time data from an array of sensors around the city that can be used in a host of applications. 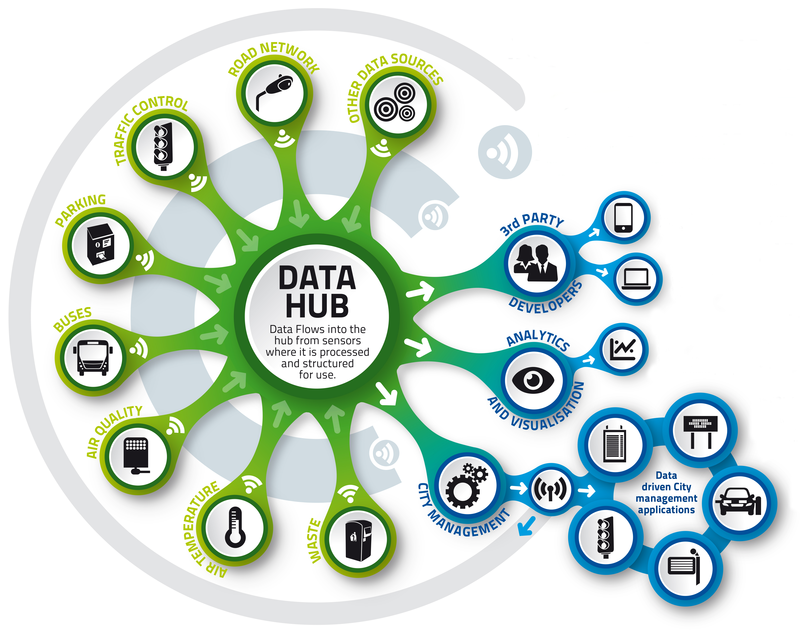 The first phase of the platform involved setting up a data network to support ‘Internet of Things’ technology – allowing products to ‘talk’ to each other – and a data hub to collate and process the data. A new LoRa (Low Power Long Range) network has also been established in collaboration with the University of Cambridge to transfer the data flowing in from the sensors to the data hub. The combined data can then be analysed and visualised to plan smart solutions including making transport systems more reliable and easier to use. The platform will also allow citizens, third-party developers and commercial partners to use the data to ‘test bed’ innovative applications, such as the new MotionMap travel app, Digital Wayfinding Screens and SmartPanel Lobby Screens. One of the most extensive of the initial projects on the network is an air quality monitoring system for the city. Twenty air quality sensors were added to the network to provide more granular information on city pollution levels. Work is now being done with the University to explore how this project might be extended to a wider range of sensors. Other initial projects include traffic monitoring sensors and the provision of real-time bus and train information.